This Floor only manual thermostat is simplicity itself. A simple on-off switch along with a heat dial. That’s it, what could be easier? The M100 is supplied with an external floor probe and backed up with a 1 year manufactures warranty. 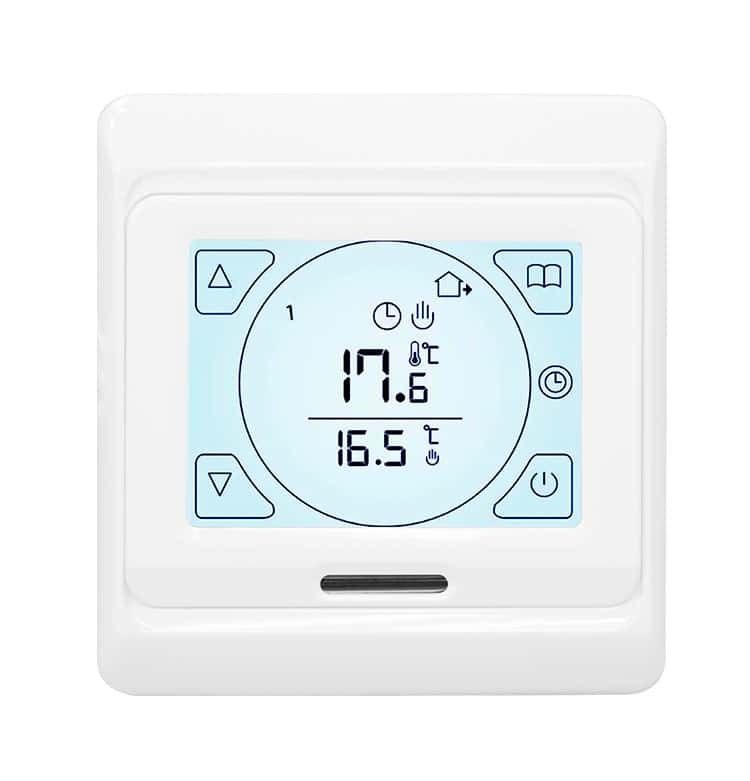 The M5 Digital Thermostat can be used with all types of electric underfloor heating. The M5 is very easy to operate and makes using your underfloor heating system child’s play. T700 thermostats are programmable controllers with both air and floor sensors. And a large 2.8″ blue LCD screen. with smart heating, control features found in most modern thermostat but remain easy to use with all underfloor heating systems. Once installed they will add a stylish modern touch to any room. 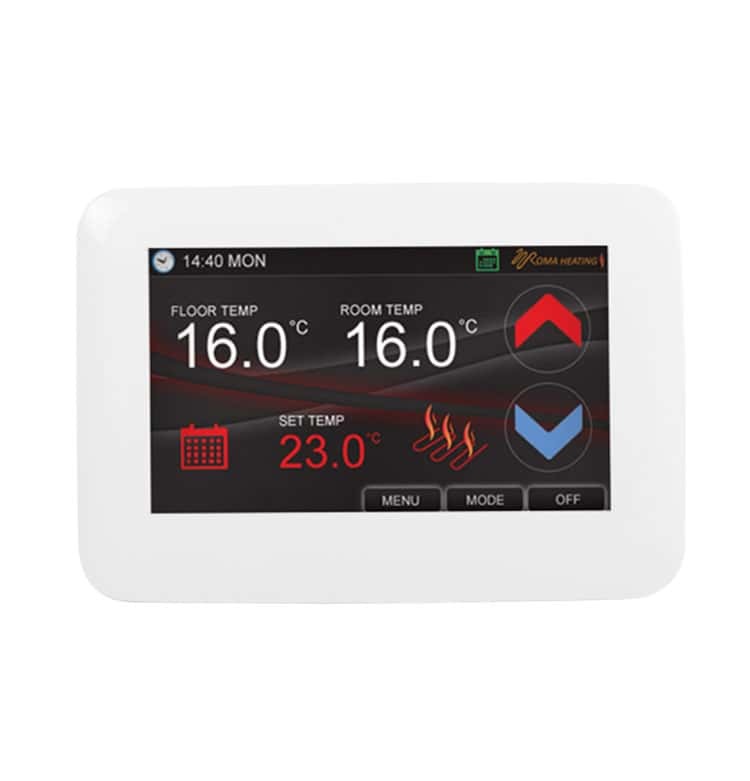 The T5 touch screen digital thermostat will operate all standard electric underfloor heating systems. With a large sensitive, ultra flat low profile screen with micro bevel edges the T5 is a stunning looking thermostat. 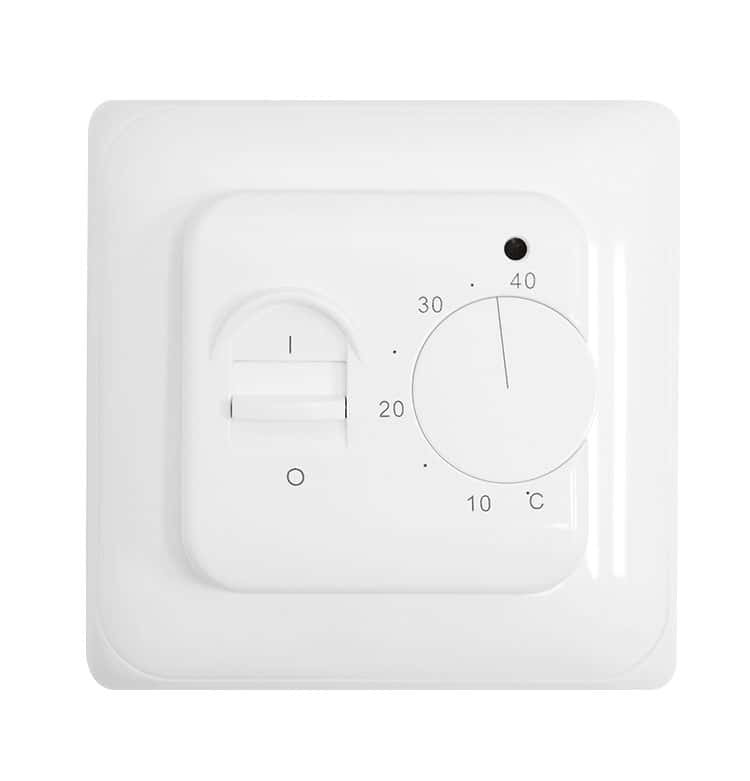 The New Wi5 Wifi Underfloor heating thermostat is simple to use but really stands out from with its low profile sleek modern look. With an ultra flat gloss screen, micro bevel edges and easy and intuitive user inter-phase this thermostat is not only very clever but also looks great. i8 WIFI Thermostats are fully wifi enabled but that’s just the start the i8 does not require a router like other wifi thermostats make you an extra £200 saving. 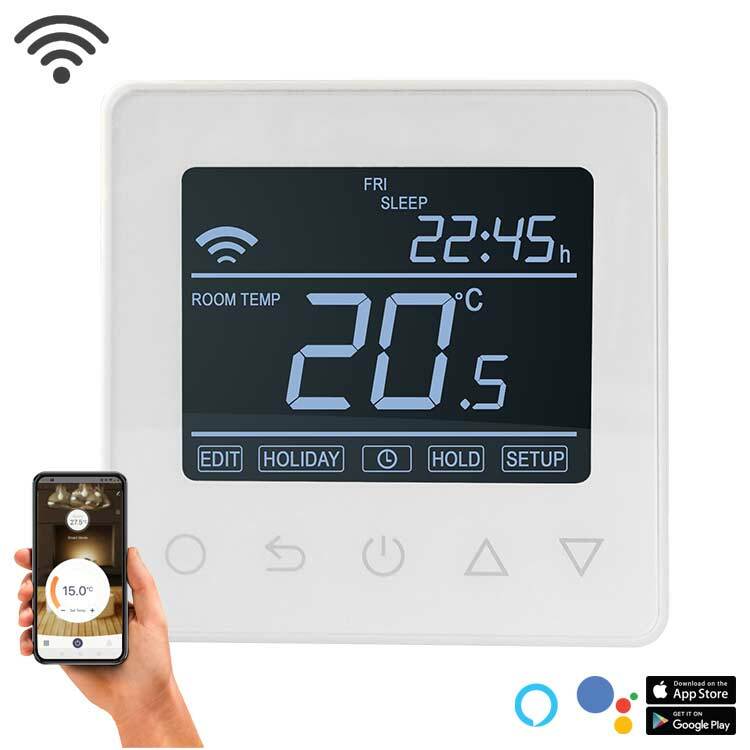 Colour Touch Screen Thermostat combine the very latest clever features. With a large 4.4″ colour touch screen display and super stylish looks! It really finishes your room. 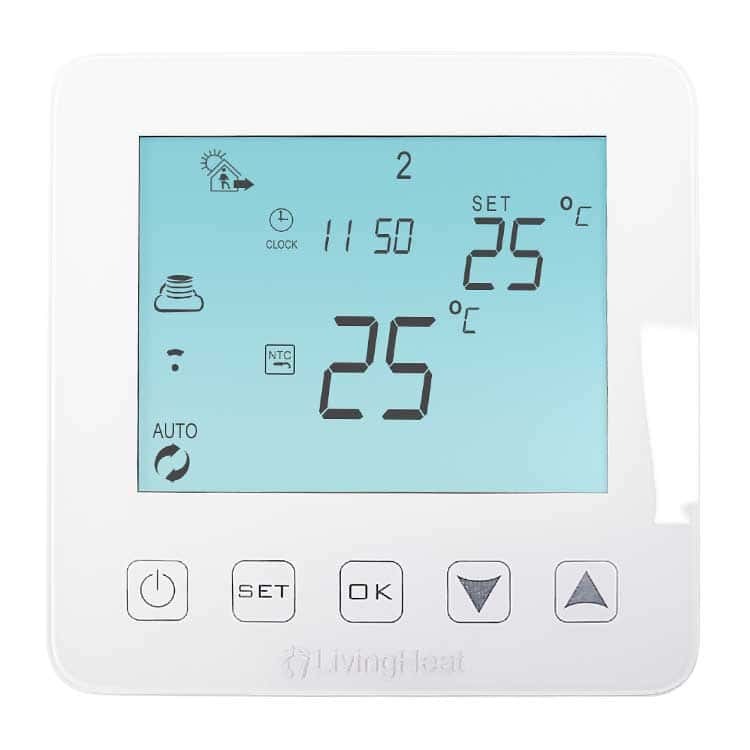 The underfloor heating controller comes with both air and floor sensors to control your room’s temperature. 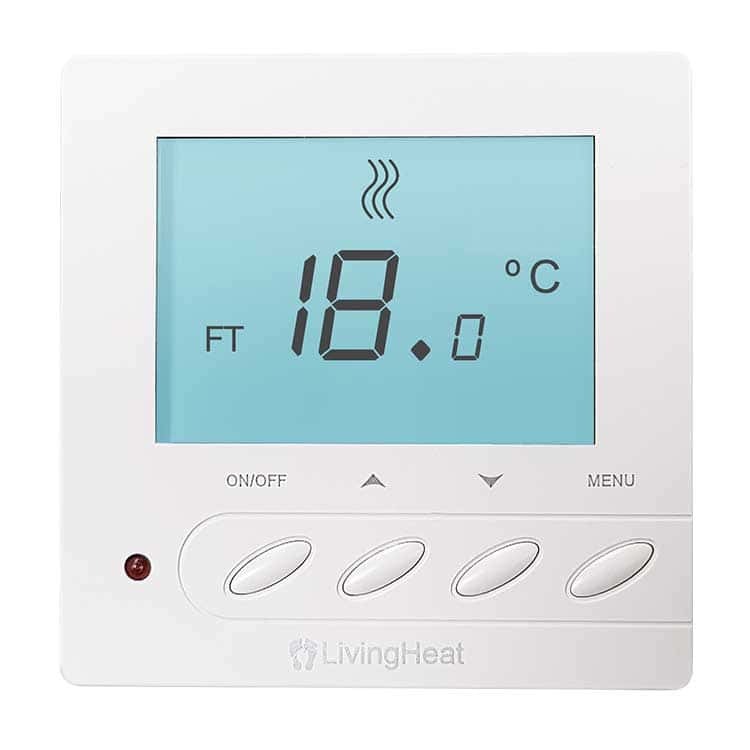 And offers all features you would expect from a modern digital room thermostat.